PHOTO: Olav Olsen / ComboThe two former MGP winners Aleksander Walmann and Alexander Rybak make both good contributions to the final of the year. Newcomer Charla K also delivers a strong deal with Swedish Per Gessle, one of the world’s foremost hitmakers. 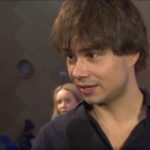 In a final field with a lot of pur pop, young artists and several MGP contenders, there are two former winners who stand out: Alexander and Aleksander. 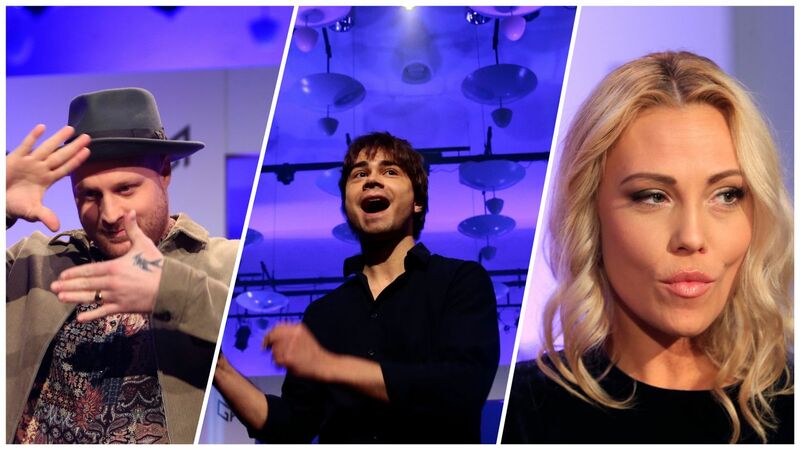 This year there are no semifinals, as the Swedes still hold, but ten will go straight to the final at the Melodi Grand Prix in Oslo Spektrum Saturday 10 March. A nice surprise because this is written by Charlotte Kjær (Shackles) together with one of the world’s premier hitmakers: Swedish Per Gessle (Golden Times / Roxette). The skill makes a song that sounds like tame at first glance jammed in the head when the chorus is adorned with full-bodied vocal use. A little outsider in the field. Alejandro Fuentes was first known through Idol. Now he is going to sing in Spanish in MGP. A song in Portuguese won the whole Eurovision in Kiev last year, so all of course is possible in this competition. But that the Norwegian people will vote for a song exclusively in Spanish seems unthinkable, despite the fact that Fuentes makes a good figure and “I have another” (translated) with its taste of Caribbean rhythms is certainly catchy. Last year Aleksander Walmann won with JOWST. 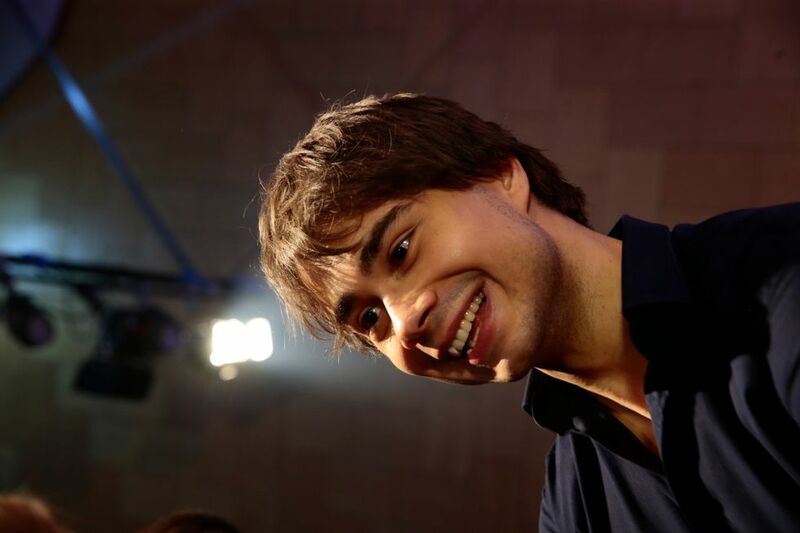 In the international finale he did not reach up, but tries again this year. Almost a mere repeat of last year, because even though Walmann stands alone as an artist, the song is written by, amongst others, his partner in last year’s JOWST triumph: Joacim With Steen. It worked well then and do it again. The song is run by a historically borrowed funkbass, landing somewhere between modern pop, electronics and disco. Not very original, but still three minutes superb MGP music. Stella Mwangi has been with before. This year she participates with Alexandra Rotan. Stella Mwangi has been a Norwegian participant in Eurovision once before and it ended with her “Haba Haba” smelling out already in the semifinals.Unfortunately, it’s hard to believe that this year’s contribution from her and Alexandra Rotan will make it especially better in Lisbon in May, because despite the big doses of smiles and energetic rhythms, the song becomes more fussy after more listening. Afterski king Vidar Villa contributes with your “mother.” It does not fall into taste with our reviewer. Auch. In recent years, it has become a matter of MGP that “afterski” songs with banal, usually a bit on the edge lyrics should definitely be in the final field. 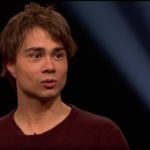 This year, the choice fell on Vidar André Mohaugen, who serves a silly text about “forbidden” love. Underneath a jerky pop song at a healthy pace with emphasis on vocals and blowers, and the three minutes just get more and more tiresome for each listen. Tom Hugo delivers a song with a refrain that will get its fans. Another straight forward and a little original song that uses the same funk pointer that has become popular again in recent years (also check Rybak in this year’s field), with a text that does not try to tell us anything. Other than that, we must believe in ourselves, dance and be happy. Next to the guitar, the song is solely on the fly, which will get its fans. The Swedes could have sent this one. Ida Maria was a songwriter last year. This year she wants to sing herself. There is a thin line between smart and cliché-boasted in texts, and her contribution falls on the wrong side, our reviewer believes. Ida Maria Børli Sivertsen is the rock star who has told her how she went on a bang in the industry and got up again. Now she is in MGP with the same energy and rasping voice as always from this side, although the song itself is no more than catching catchy. There is a thin line between smart and plain-texted in texts, and this falls down on the wrong side. Rebecca Thorsen has brought with him another former Eurovision participant: Kjetil Mørland has written the song. The reuse of former Eurovision participants continues. This was written by Kjetil Mørland, who was in the final with Debrah Scarlett three years ago.Young Rebecca Thorsen sings nicely through a bale that starts badly, but grows big with a rich electronic soundtrack. Vocal is its greatest advantage, because the song as a whole ends slightly in excess of bombastic. Nicoline Berg Kaasin came to the final in “Stjernerkamp”. Now she tries in MGP. Nicoline Berg Kaasin was in the final of the NRK’s Star Match in 2016, so it’s certainly not short of vowels. In this year’s MGP final, she sets out with one of the most modern pop songs, a song based on much of the same electronic soundtrack as an artist like Astrid S. A stronger “drop”, a far more moving refrain, is still missing. 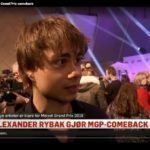 There are enough high expectations related to Alexander Rybak’s comeback in Eurovision. 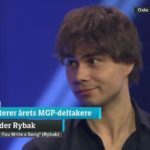 Is anyone who can use such a song title with honor, so is the former Eurovision winner Rybak. Although, after “Fairytale” he has not written a lot of hits, but here comes a light, happy and catchy thing. Pur pop with pointed funk guitar, ok vocal, strings, gentle fele and good mood. Draw for a banal scubidub midfield, it has to be said, but this hits the fans. 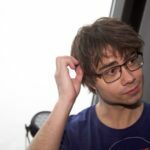 Rybak can quickly win again, he.